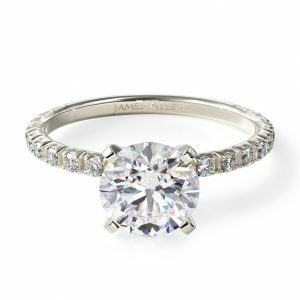 Go on a trip with both your families and friends, ask her right in front of the castle, and don’t forget the “Just Engaged” mouse ears! She’ll already be happy enough to meet her favorite character, but you can make it even more special. 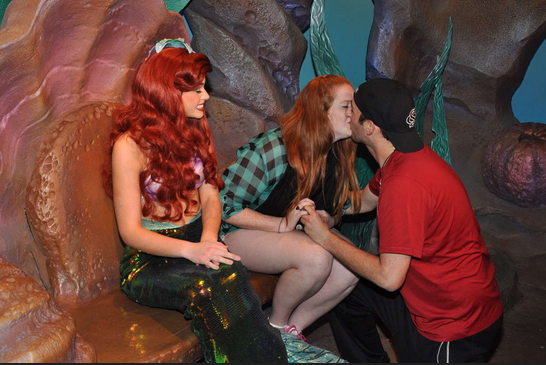 As she’s taking pictures with the character, sneak in and pop the question! This one gets points for creativity. Make an appointment to get your caricature portraits done, but tell the artist it’s a proposal! You’ll have a cute story to tell, and a cute caricature to go with it. Love Disney, but not really into the fairytales? Go for thrill! 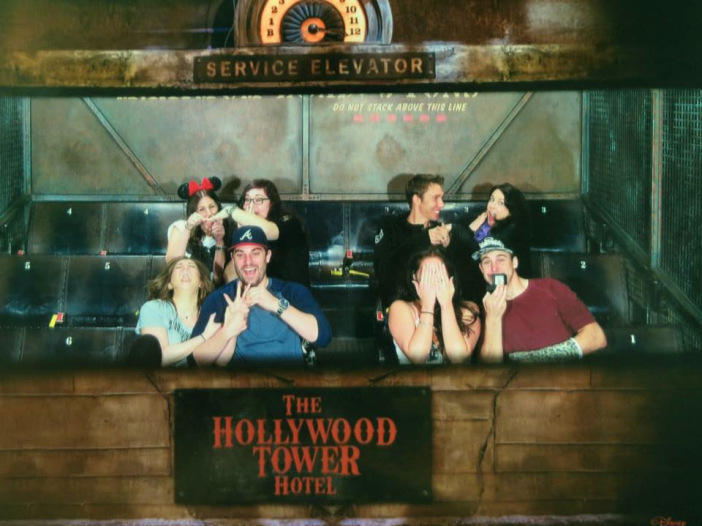 Ask her when the ride’s pictures go off, and you’ll definitely have a memorable proposal story. 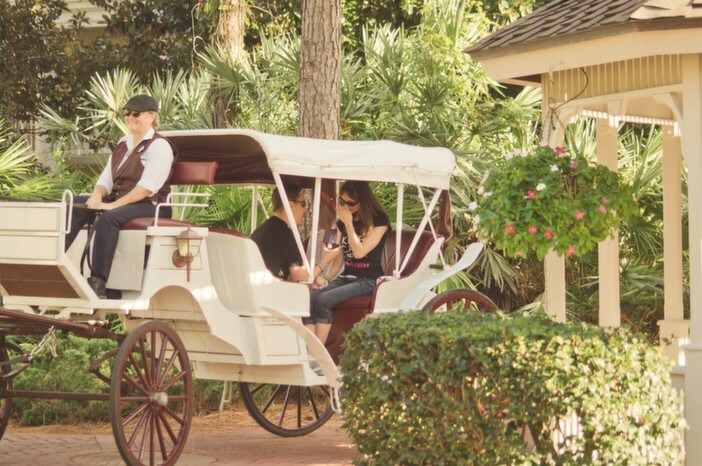 She’ll really feel like the belle of the ball when you propose in a super romantic horse-drawn carriage. 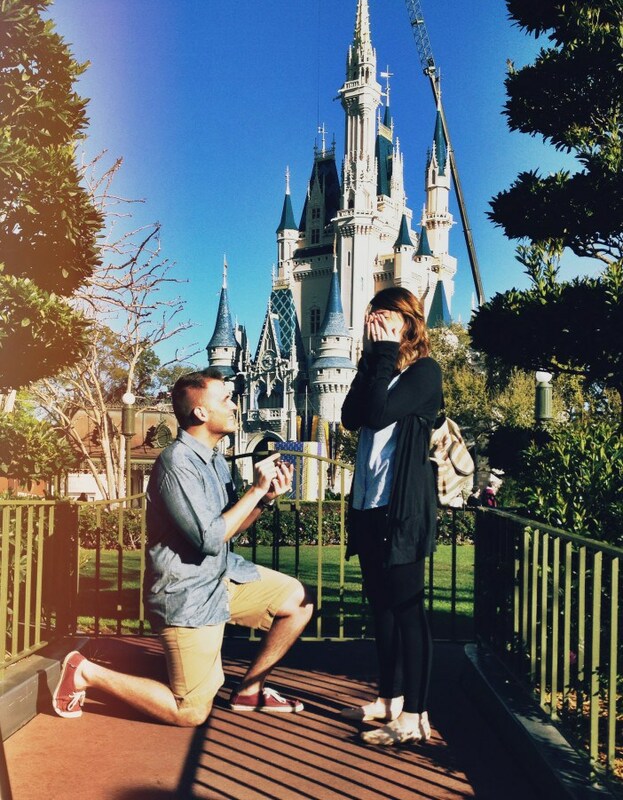 Most Disney theme parks have these available for rides, and it doesn’t take too long to get down on one knee. 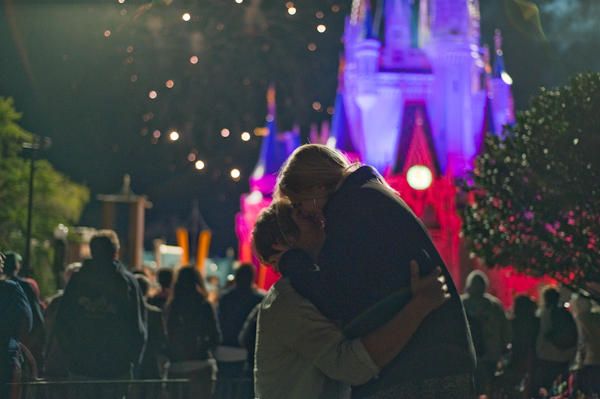 We think the real magic of Disney comes out at night, when the castle is aglow and the fireworks go off. 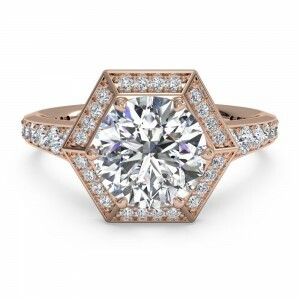 For some extra adrenaline for your princess, propose in the middle of the show. If you’re into authenticity, look around for a historical castle! 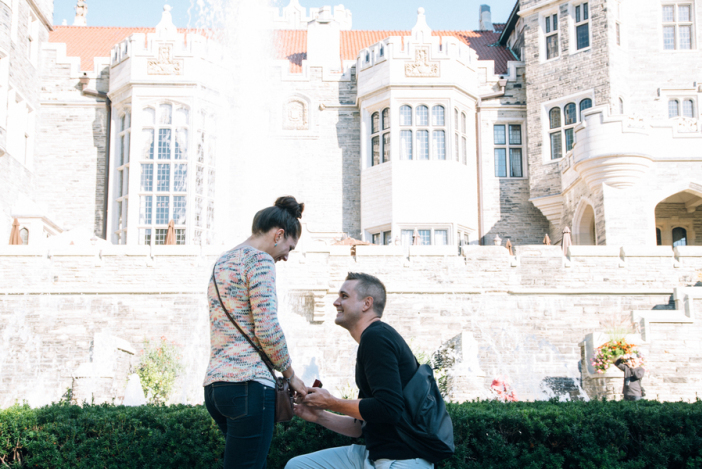 Make an excuse for a trip there with your honey, and pop the question right in front of a gorgeous old castle. Take a cue from your girl’s favorite Disney movie, and take it above and beyond by putting her in her favorite story. Be the prince to her favorite princess, and don’t forget your trusty steed! 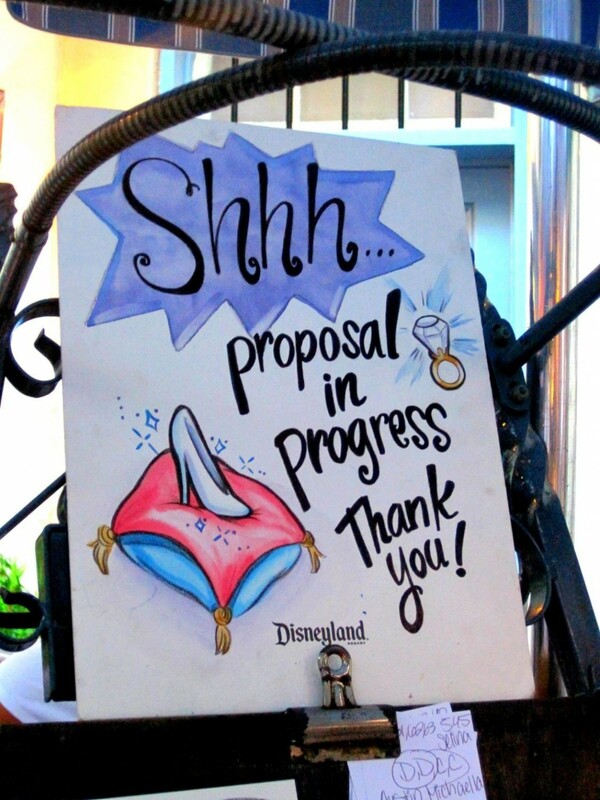 There you have it, tons of proposal ideas at Disney and tons ways to ask your princess to become your queen. 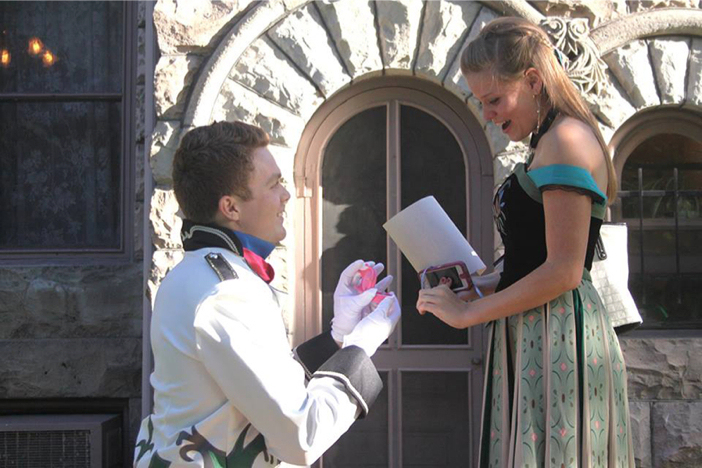 If you have your own fairytale proposal story, we’d love to hear about it! 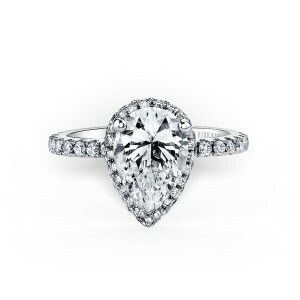 If you need more ideas, here are tons of awesome Christmas Proposal Ideas and unique proposal ideas, plus learn how to buy a diamond here!